Sheikh Adilan Adjalane has always felt he has a lot to prove...and that's why he always wins. As the youngest in his hugely successful family, it's not easy to live in his older brother's shadow. So when he sees a chance get back his father's land, the former Olympian will fight to earn his place at the top of the family real estate business. But with an older brother who'll stop at nothing and a beautiful, feisty American landowner who refuses to sell, Adilan is struggling to remember that he always fights fair. Teacher Michelle Reynolds has always wanted to see the world, and it doesn't take long for her to fall in love with the Middle East. She's always been open to compromise, but when Adilan Adjalane offers her cash for her land, Michelle refuses. She's determined to build a sanctuary on her mother's land, just as she promised. Besides, she's been warned about the Adjalanes. Adilan may be devastatingly handsome, but she knows he comes from a family of heartbreakers. 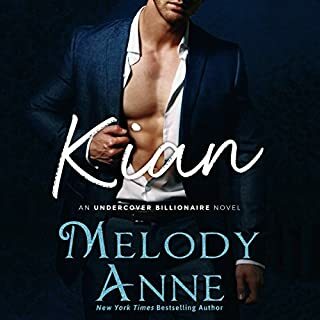 With the stakes getting higher and their attraction growing, will Adilan have to sacrifice his ethics to earn his place in the family business, or is Michelle more important than winning?